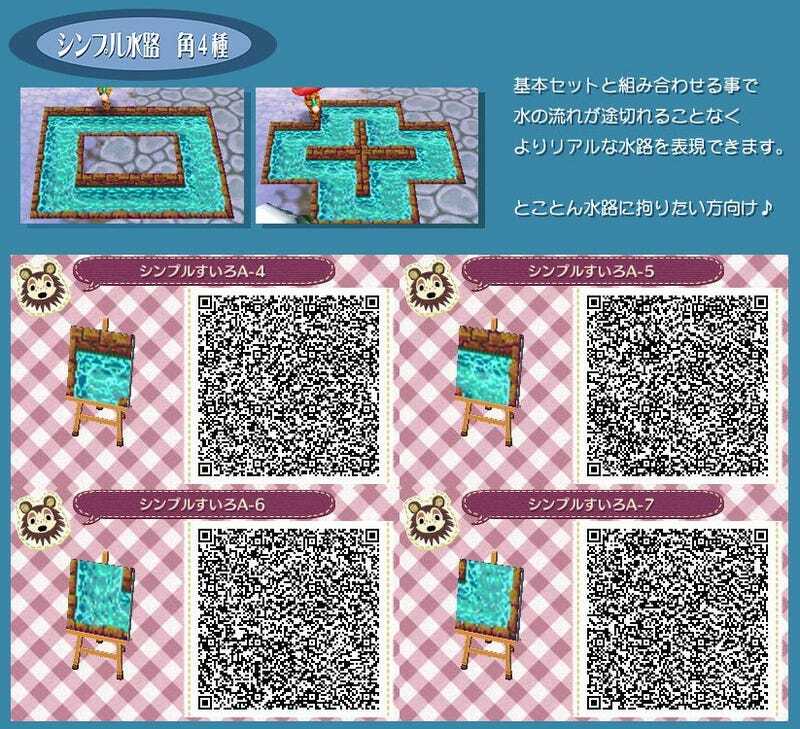 Quick Fix: Animal Crossing QR Codes Edition! Alright, since I am super sad I have to go to bed now, for my wonderful shift tomorrow at 5 am, I won't be able to join the party of all you guys playing Animal Crossing at midnight. But as a parting gift, and to just post something today, I give to you AC:NL QR codes! Here is a great selection, found and shared from reddit, there are also numerous posts on tumblr, so check that out and share! UPDATE: The US version of the Twitter and Tumblr connection service for Animal Crossing screenshots is live. I'm personally digging the water one above, but also adding roads and streets to my town has been, my deal, for the past few AC games. Also as a side note, I'll be adding everyone on the TAY list to my 3ds tomorrow after work. So if you've added me and I've not added you back, it's not because I don't like you, just haven't had time to turn it on for a couple days.